Go back to the early 1970s. It was a time when a much younger Mike Fairley – a former further education lecturer – was working as deputy head of training and seminar manager at PIRA, the internationally renowned paper, printing and packaging industry research association. At that time he was writing training manuals, self-learning programs and visual-aid kits on topics such as paper coating, paper testing, box making, offset lithography, newspaper production and screen printing. One of the other subjects he was asked to research and write was a training aid on self-adhesive labels. This was the beginnings of his fascination with the label industry and label technology. In 1974 he was instrumental in organizing for Pira an international conference on trends and developments in labels – bringing together speakers from across Europe to talk about label substrates, adhesives, label printing, die-cutting, markets and applications. At the end of the conference an open forum discussed the need for regular news and information about what was going on in the label industry. The challenge at that time was that the label industry was largely a collection of individual label companies serving a local or national region. Very few were pan-European and the word globalization was not even in the label industry vocabulary. Some of the first trade associations for the label industry were already in existence – such as Finat and TLMI – while the larger label producers were often members of a relevant national printing federation. Label converters in the early 1970s who wanted to find out about new equipment, products or applications for this new label technology would tend to read the packaging or printing trade press in the hope of finding some label news or a relevant article. The same applied to trade shows. The label printer went to drupa, Ipex or other national print shows in the hope of seeing new label materials and products. Dedicated label industry conferences of the type that had been organized by PIRA were few and far between. Two of the people at that London conference were eventually to be responsible for the launch of Labels & Labelling International in 1978: Mike Fairley, who was the conference organizer, and Ron Spring, one of the speakers, who was at that time managing director of the recently formed Gerhardt Engraving in the UK and a member of the Finat board. He was therefore in a position to become the contact between a possible forthcoming specialized magazine and the equally specialized trade association. In the spring of 1978 Fairley and Spring bumped into each other at an Ipex show in Birmingham and began discussing the fact that a dedicated label magazine was even more of a requirement for the industry than it had been four years earlier. Over the next hour the early stages of a plan to launch a label newsletter or magazine began to be mapped out. Mike Fairley would be the editor and publisher; Ron Spring would work on compiling mailing databases and supplier (potential advertiser) contacts, industry knowledge and some articles. Both also agreed to make equal payments into a bank account and that if all the money was used up they would then reconsider the idea of the magazine launch. One early decision was to accept advertisements that related directly to labeling. One large supplier was rather put out by this decision but the two of them stayed with this commitment. Without a doubt this proved to be one of the reasons that the industry welcomed the magazine. They knew from the front page through to the back cover it would totally relate to their business. This is still the concept of the magazine today. Over a period of just a couple of months during the latter part of 1978, Labels & Labeling Publishers Ltd had been formed and a mailshot sent out to the initial database. Such was the response to this mailshot it was possible to bring out the first issue of Labels & Labelling International in January 1979 – not only publishing the first issue as an initial 20-page magazine but also to make a small surplus of income over the production and mailing cost through display advertising, subscriptions and Buyer’s Guide entries. Having said that, neither Ron Spring nor Mike Fairley took any income from the company over the early years. Fairley’s wife, Pat, undertook much of the admin and accounts work, again unpaid for the first two years. Also in that first issue was a copy of a telegram sent by the chairman of the Finat board at that time, Leonardo Bucchi, welcoming the publication of a dedicated label industry magazine. Ron Spring took an active part in the magazine’s production until it became more than a hobby. His own company, Gerhard Engraving UK, was growing rapidly and required all of his attention from day-to-day. Eventually, in 1984, the majority shares in Labels & Labelling Publishers were sold to Clive Smith, who by then was organizing the early Labelex events (the forerunner to the global Labelexpo shows) in London. But more of this later. Right from this early beginning, the magazine was considered as an international journal for the label industry and within the first couple of years already had subscribers across Europe and in more than 20 other countries, including North America, India, South Africa, Australia and New Zealand. This was long before globalization became a buzz word and more than justified the original inclusion of ‘International’ in the magazine title. Today, readership is in more than 120 countries. By the mid-1980s, Fairley had already travelled across much of Europe interviewing label industry suppliers and converters, as well as to industry events in North America and Australia, and a brief stop in India. Indeed, it was while attending a Latma conferences in Australia in the mid-1980s that Syd Staas, then managing director of the Assta Group, commented: ‘The label industry in Australia always used to be about two to three years behind Europe in its knowledge and implementation of new technology. That was how long information took to get disseminated in Australia. And we thought that Europe was a couple of years behind America. Now, Australia is just three weeks behind Europe and the USA, because that’s how long it takes each issue of Labels & Labelling International to get to Australia.’ Perhaps this comment is a real measure of the impact that the magazine has had on the global label industry. The period of growth from the mid-1980s to the mid-1990s was dramatic for the label industry − and for the magazine. It was a period in which major new materials, technology, product and application trends were emanating from the rise of self-adhesives. Each new innovation increased volume usage of this fast-growing technology and all covered by the fledgling and now, fast-growing, magazine which was by now regularly 60 to 80 or more pages. Mike Fairley also established the associated Labels & Labelling Consultancy in 1984 to meet the growing demand for market and technical reports on new technology and products, changing label legislation, new innovations and industry evolution, and he was writing label market studies for the likes of Frost & Sullivan, Pira and The Economist Intelligence Unit. By the mid-1990s Labels & Labelling International was at the forefront − and still is − of writing about the new technology of color digital label printing. 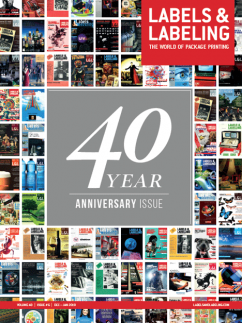 From the very first showing and then installations of Xeikon and Indigo machines in 1995, the magazine has significantly tracked this fast-evolving technology. 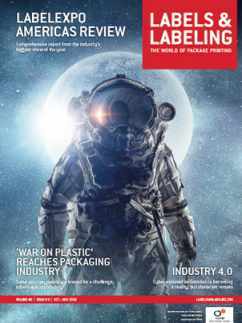 Certainly, few can doubt that the magazine has played a crucial role in the education, development and growth of the label industry worldwide in its 40-year history. But it was not all just about the magazine’s growth. It also played a key part in the evolution of the global Labelexpo shows, industry wide conferences (now Label Summits) and market research on label trends. But let’s go back a little while in time to put this into context. While Labels & Labelling International was in its early formative years, a separate development that was to eventually have a further major impact on the world of labels had also been created – a fledgling exhibition company founded by a former United Trade Press exhibition manager, Clive Smith. Smith had left UTP in 1973 to form his own exhibition company and, in 1976, he launched – among other shows – an exhibition for the clothing and related industries called Clotech. This show was for supplier companies to the clothing industry, some of whom were involved in coding, marking, ticketing and labeling. By 1979 Clive Smith decided he would like to separate off the coding, marking and labeling elements into a small dedicated show – which he was to call Labelex – and which would not just be for garment labels but also include package and product labeling. Sounding out these industries as to the magazines they read, he found most of them saying that the only relevant title was Labels & Labelling International. A phone call to Mike Fairley ensued and the two of them met up in London to discuss the possibility of the magazine becoming a sponsor for the new show. This first-ever Labelex show, now sponsored by the magazine, was held in May of 1980 at the Old Horticultural Hall near Victoria station in London. Officially opened by the Rt Hon John Smith, MP, the Principal Opposition Spokesman on Trade, Prices and Consumer Protection, the event also saw the launch of the first-ever ‘Directory of Labels & Labelling’ as well as a dedicated show conference program organized by Fairley in the nearby Royal Westminster Hotel on ‘The economics of the total labeling operation’. This first show, with free admission, had just 44 exhibitors, most of whom were label converters showing everything from label and tag products to table-top printers, overprinters and label application equipment. Key exhibitors were Norprint, Harlands of Hull, Harkwell, Pitney Bowes, Dennison Manufacturing, Pricemaster, Burrals, as well as Fasson and Sterling Labeling Systems. The cost of a 10sqm stand was just £450 GBP. A year later, Labelex ’81 was again to be held at the Old Horticultural Hall. Clive Smith announced early that year that further efforts were being made to attract overseas visitors, so making the event the only international show exclusively for the labeling industry. This show doubled the floor space of the previous event and attracted some 60 exhibitors, among them a working Ko-Pack 250 ‘Super’ 5-color rotary letterpress machine. The catalogue for the ’81 show was the first to be produced by Labels & Labelling and was combined with review, trends and industry development features to form a combined Labelex Catalogue and Yearbook. Like the 1980 event, Mike Fairley and Ron Spring put together a supporting program, this time a series of workshops. The cost of attending a one-day workshop was £10; if attending all workshops over each of the three show days the cost was £25. Efforts to bring in international visitors proved successful, with Labelex ’81 attracting visitors from over 30 countries and as far afield as Canada, America, South Africa, Zambia, Singapore, Kenya, Egypt and New Zealand. The show also brought in visitors from Cadbury, Express Dairies, Carnation Foods, Boots, RHM Bakeries and Sainsbury. Immediately after the 1981 show Clive Smith announced that Labelex would be renamed Labelex International. In July 1982 the Labelex organizers sent a mailshot to the Labels & Labelling database enclosing two free tickets to the exhibition. Although Labelex International was bigger and better than previous shows, it was still largely dominated by label converting exhibitors and machinery and equipment shown by UK agents. The decision was therefore taken to move the Labelex show to mainland Europe, ideally to a country that was not currently supported by local agents. Hence the potential of a Labelex Europe show in Brussels began to be formulated. In November 1982 Clive Smith announced his intention to make the exhibition a bi-annual event. Interestingly, in a joint venture, a Labelex International Labeling Exhibition was also held at the RAS Showground, Sydney, Australia in October 1983. Mike Fairley and Ron Spring both attended this event and manned a small exhibition booth. This was the first dedicated label show to be held outside the UK. It was not until October 1985 that the first Labelex show was held in Europe. Running on October 15-18, it took place at the Rogier Centre in Brussels, a converted car park. Covering 2,600sqm and attracting 70 participants, Labelex Europe exhibitors now included some of the major international press manufacturers – Mark Andy, Nilpeter, Webtron, Ko-Pack, Edale, FSK – and, for the first time, a seminar program sponsored by Finat and presented in three languages; the beginning of a long co-operation with the association. The largest working machinery stand at that time was by Ko-Pack. The show organizers’ hotel was at that time the New Siru, just across the road from the show venue and on the edge of the Brussels ‘red light’ district – a source of interest for those going out for an evening stroll. Not unsurprisingly, the hotel (now refurbished and called the Comfort Art Hotel Siru) became the base for a virtual ‘exhibitors club’ with the bar packed by late evening on every show day. Much of the industry camaraderie that still exists today can be traced back to these early shows in Brussels. Now established on a two-year cycle and designated as Labelexpo Europe, the next show was again at the Rogier Centre in October 1987 and attracted almost 80 exhibitors and a near 5,000 visitors from 38 countries. A two-day conference was organized by Pira, the international paper, printing and packaging industry research association. The list of exhibitors was by now extremely global and ranged across label materials suppliers, press and ancillary equipment manufacturers, pre-press companies, label inspection and tooling producers. Most of the exhibitors in 1987 are still exhibitors today, although some have been incorporated into other organizations. Key exhibitors at that time included Gallus, Nilpeter, Mark Andy, Omet, ABG, Klemm, Ko-Pack, Arpeco, BASF, Dow Chemical, Edale, Gerhardt, Newfoil, Purup Electronics, Rotoflex, Samuel Jones, Smith & McLaurin, UPM Raflatac and Webtron. After two shows at the Rogier Centre, Labelexpo Europe now moved to the Parc des Expositions de Bruxelles for the 1989 event. Now almost twice the size of the previous show, the new, larger venue attracted some 90 exhibitors and 5,000 plus visitors from 49 countries. All the major label press manufactures now showed working machinery. Indeed, there were now more than 40 different makes and models of label printing machinery on show, including the first in-line digital presses printing mono-color using ion deposition and magnetographic processes. A two-day international conference was run alongside the show by Finat. Also in 1989, TLMI entered into a formal agreement with Labelexpo to co-sponsor future Labelexpo shows in North America, starting with the 1990 show to be held at the Rosemont Exhibition Center. That agreement still continues to this day. A Labelexpo Asia show at the World Trade Centre, Singapore, for June 1991 was also announced in early 1990. A magazine for the business forms industry had also been launched by Mike Fairley in 1989 and other international industry magazine titles were being looked at. These activities all proved to be the beginnings of an international publishing, exhibition and conference partnership that was to be known as the Labelex/Cowise Group. This came about in July 1990 when changes were implemented in which all the separate Labelexpo exhibitions of Europe, Americas and Asia – together with exhibitions covering the clothing, tire, garment packaging and computer industry – were incorporated into one group, all operating under the Labelex Ltd banner. At the same time, all magazine titles and conferences were put together as the Cowise International Publishing Group: the two arms of exhibitions and publishing now operating as the Labelex/ Cowise Group. It was later in 1990 that Mans Lejeune and the Finat board concluded an agreement with the group to become the official sponsor of the ongoing Labelex Europe shows. 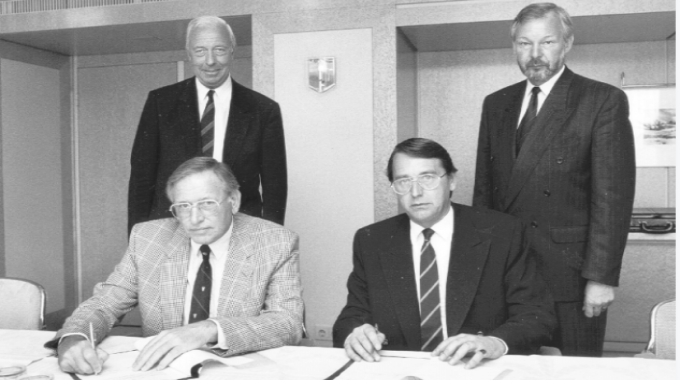 This sponsorship agreement was signed in early 1991. A separate conference company was also formed – Cowise Management & Training – which organized and ran eight to ten major industry conferences, teach-ins and seminars each year – in Amsterdam and Chicago. The conference themed dinners in Amsterdam (a pirate ship or a Scottish castle) became legendary events in their own right. By the later part of the 1990s the Labelex/Cowise Group had become well established as the only truly global exhibition, publishing and conference company and was looking to expand even further – but needing additional resources and levels of management to continue the global growth. New label technologies such as shrink sleeving, in-mold, wrap-around film, etc, were developing rapidly and it was planned to incorporate these into the shows, while eastern Europe, Latin America, China and India were becoming core new centers of label growth that needed label events. In 1998 the Labelex/Cowise Group was reverse engineered into a shell PLC company and re-floated on the London Stock Exchange as Tarsus Group PLC. Over the following years Tarsus expanded rapidly – particularly in the emerging markets of Asia, India and the Middle East, and not just in the world of labels but also into areas such as off-price clothing, education, logistics, packaging, the Dubai Air Show and anti-aging shows, as well as into the world of electronic media with the launch of websites such as labelsandlabeling.com. Major label industry growth for the label division at Tarsus in the new millennium included the launch of Label Summits in Mumbai, New Delhi, Sao Paulo, Mexico City, Guangzhou and Bangkok, the transfer of the Asia show from Singapore to Shanghai, the running of RFID Smart Label Conferences in Baltimore, Miami and Brussels, the introduction of Digital Label Conferences in Barcelona, the launch of the Label Industry Global Awards and the acquisition of the India Label Show and the Gulf Print & Pack Show. The publishing of the Encyclopedia of Labels and Label Technology written by Mike Fairley also proved successful and this title, along with the RFID Smart Labels Handbook, formed the beginning of the Labels & Labeling online book store. Later, the Label Academy series of books was launched as a training resource for the global label industry. Now, 40 years after Labels & Labeling International was launched and 38 years after the first Labelexpo exhibition in London, the world of labels continues to grow on a global basis at between 4 and 7 percent (the same as it was doing at the launch of the magazine in 1978) – far more in the emerging markets. New label materials and technologies continue to aid this growth; developments in RFID, smart active labels, nanotechology, etc, create opportunities and globalization sees the world of label grow even bigger. Environment and sustainability have become a key industry challenge, and opportunity. 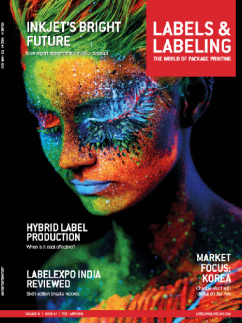 Labels & Labeling (its current name) and Labelexpo between them have had a major impact over the years on the nature, development, industrialization, growth and globalization of the label industry. It is very much a people industry. Everybody knows everybody else, and few leave the industry for other markets. 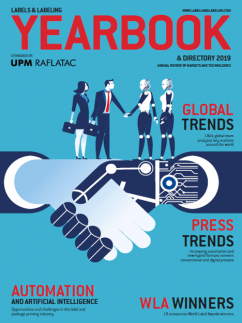 A dedicated show, conferences and magazine – working together with strong trade associations such as Finat and TLMI – has provided that extra catalyst for long-term industry success. Long may it endure. The key industry pioneers have been recognized by the label industry for what they have achieved. 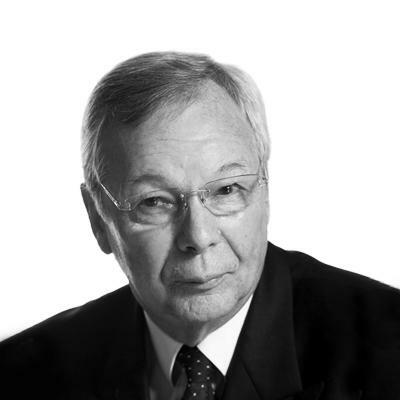 Mike Fairley was awarded the R Stanton Avery Lifetime Achievement Award in 2009; Clive Smith and Ron Spring were given Label Industry Special Recognition Awards in 2011. Mike Fairley has also been recognized as a Fellow of the Institute of Printing, a Fellow of the Institute of Packaging, a Licentiate of the City & Guilds of London Institute, a Freeman of the Worshipful Company of Stationers and an Honorary Life Member of Finat. Clive Smith is an Honorary Life Member of TLMI.